It's wedding season, so I am all-bridal-style all the time right now. I see a LOT of pinterest pics, and I will admit that I see the same ones over and over (and with that being so, do a lot of the same styles/looks over and over.) If you're a bride, the important thing is that you choose a look, or general direction, that excites you and feels like an enhanced version of normal you. If you're a maid, my best advice is to have fun and do something you wouldn't normally do! Look around and seek out editorial looks and red carpet looks, in addition to "bridal" or "wedding" looks, to get the best sampling of pinterest inspiration. Also, ask your stylist/artist what they think would really play up your best features and strategically solve problems you are worried about (for instance you're having a summer wedding outside - sweating, you kill it on the dance floor - sweating, movement, your face gets oily - don't go for a dewy look). Sometimes saying "I trust you" or "just have fun" is the best thing we can hear after you give us a general direction of what you'd like. We are artists and love to make stuff pretty! Here are some of my favorite bridal and wedding looks that I'm loving for the 2017 season. I'm loving a very fresh makeup with a pop of something unexpected: a big brow, a bold lip color outside of a normal pink or red scale (think poppy, berry, or peach), a soft glittered eye, or very blushed out cheeks. For eyes, I'm loving a very barely-there line, with a really smudged out shadow under the lower lash. 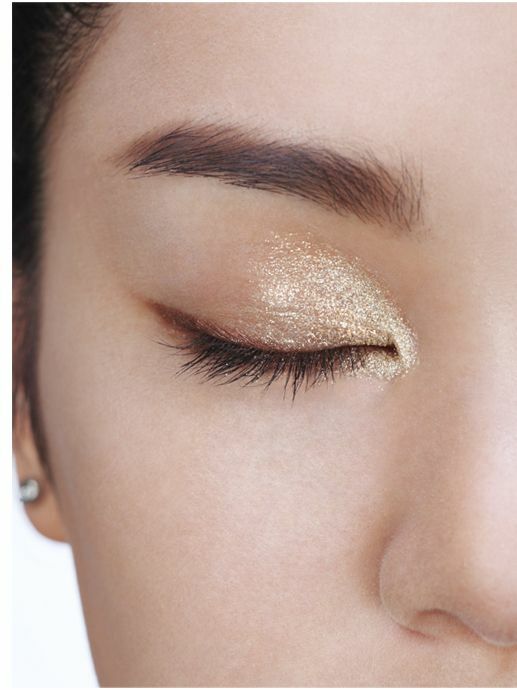 I like that these looks let the face take center stage, instead of really playing up the eye and playing everything else down, which is a more go-to bridal look. I'm obsessed with hair accessories. I squeal any time a bride brings me a clip, comb, or adornment! It adds so much interest and dimension to an already beautiful hair style, and takes the whole look up SO many notches in terms of a unique bridal style. Whether it's fresh florals or an intricate comb, you can find something that is unique and makes you feel like a true queen. My favorites are pieces that wrap around the back of the head, or very large side-of-the-head pieces. A little baby's breath will do the trick, too! If you're a bridesmaid, you can really HAVE SOME FUN with your hair! Opt for a textured pony, a full dutch-braided crown, or an updo that sweeps all the hair off the face without a part (not slick, but with a ton of texture and volume!) I love creating dimension between bridesmaid hair looks to keep things visually interesting. If you're a bride, don't be afraid to go chic and sleek (this does NOT have to equal slick to your head!) If you're real fancy, show your ears. Now, I know some people are particular (ears and foreheads are the biggies), but try out an updo that is a little more chic and involves pulling the hair above and behind the ears, like the styles in the first and last pictures. Alright ladies, don't be afraid to break your box of style! We (your style guides) will help you feel exotic and different while still being beautiful you!